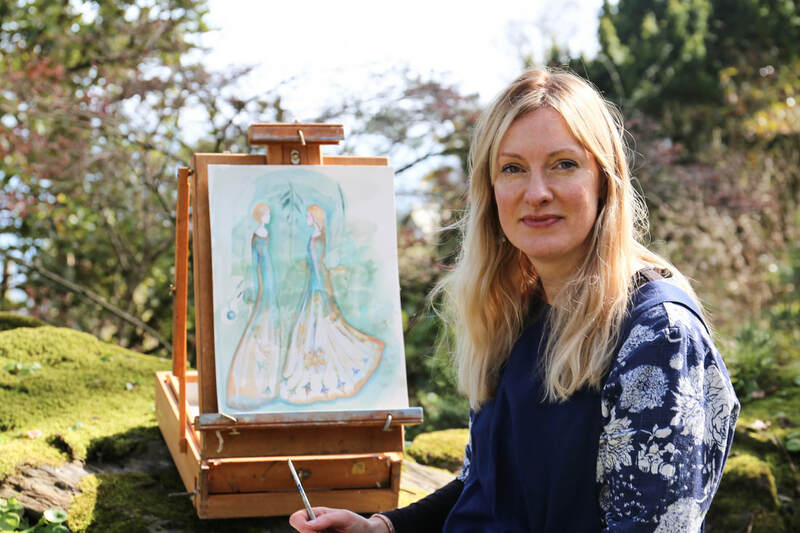 Charlotte was born in Plymouth, South Devon, she learnt early that drawing always made her happy, as a child she would sit for hours painting and drawing figures. Studying Fine Art and Illustration she went on to be a student of the Florence Art Academy studying academic portraiture in Italy, furthering her figurative style. 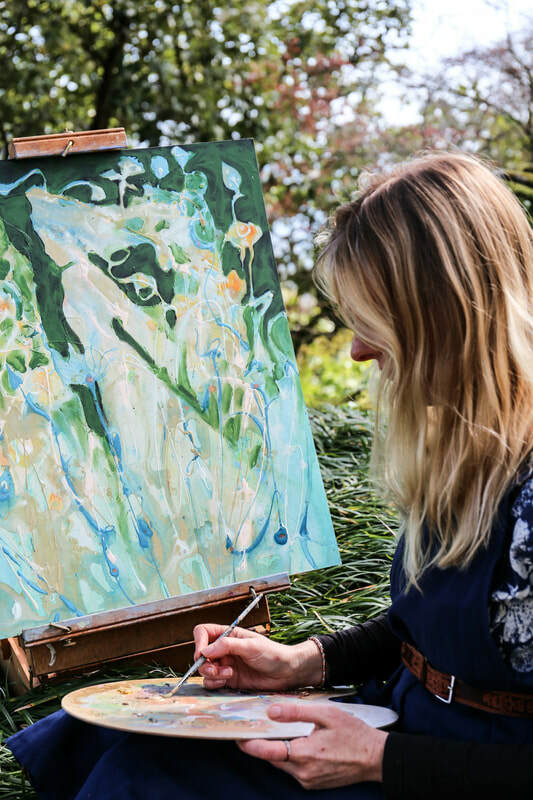 Following her vocation she became a resident artist at a remote arts commune in South West Scotland, experimenting with painting techniques and exploring how to communicate through her images to create her signature style by combining her love of the surrounding landscape and forests with figurative forms. 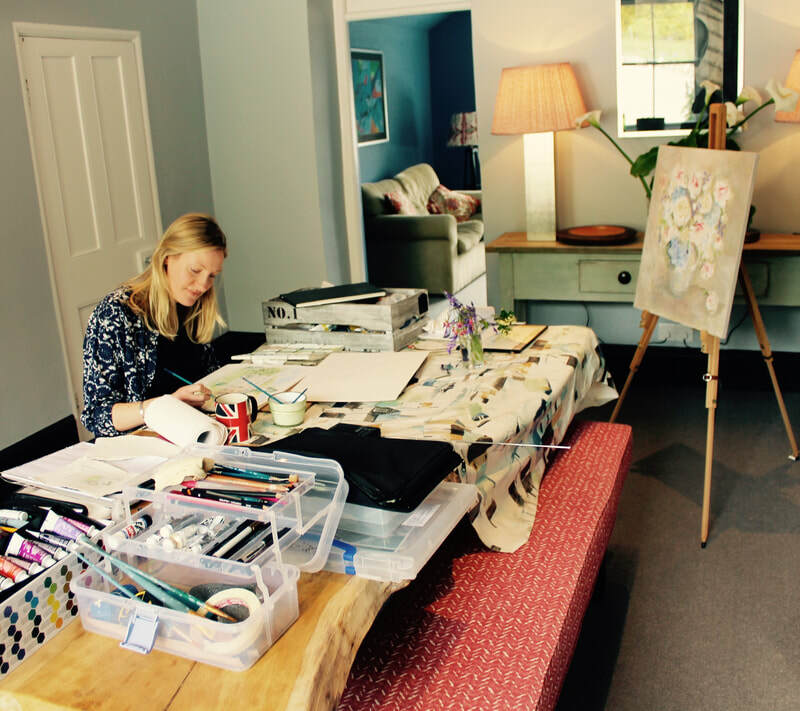 Charlotte's paintings have been published internationally with sell-out exhibitions in London, New York, Dallas and Dubai to critical acclaim. Collectors describe Charlottes' paintings as tranquil, ethereal and creating a powerful atmosphere of optimism. Using a soft colour pallette and embellishing with touches of gold, ​her ethereal figures seem to flow across the canvas with a dreamlike quality that resonates a deep calm. After her son was born with complex congenital heart defects the following years saw ongoing treatment under the care of Great Ormond St Hospital. Despite not being in a position to fully paint Charlotte maintained a journal of sketches to record her emotions. The experience of seeing the care of the doctors and nurses save her son's life built a strong awareness of the power and resilience which becomes possible despite emotional challenge and adversity.Charlotte's family are deeply grateful to Great Ormond St Hospital for the care of her son who is now thankfully in good health. ​Charlotte lives on the South Devon coast with her family. The perfect place to take her paints and sketchbook into the stunning seascapes and amongst the wild hedgerows. She is a prolific figurative painter, both in watercolour on paper and mixed media on canvas. Charlottes paintings have been published internationally with sell-out exhibitions in London, New York, Dallas and Dubai to critical acclaim. Charlotte lives on the South Devon coast with her family. 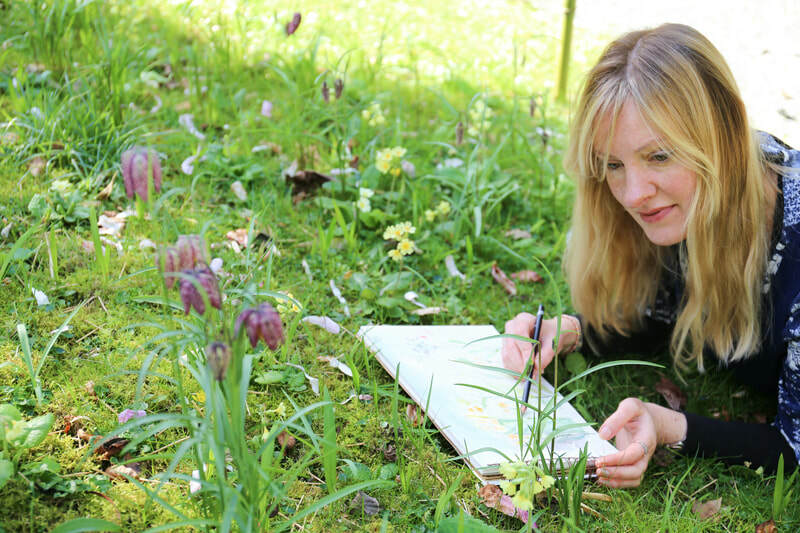 The perfect place to take her paints and sketchbook into the stunning seascapes and amongst the wild hedgerows. She is a prolific figurative painter, both in watercolour on paper and mixed media on canvas .